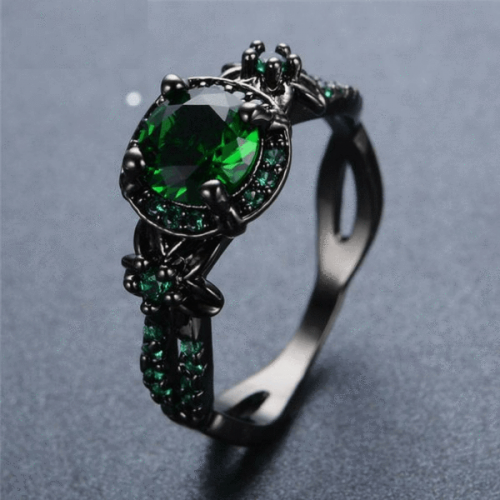 Gorgeous Black Gold Emerald Ring! Comes in sizes 5,6,7,8,9,10 &11. It is 10kt black gold filled and the stones are Emerald CZ. Buy one for yourself of that special May baby in your life!